Everyone has hard times and this is when it is most important to remind yourself that you do not have to struggle alone. People are here to help you. I am here to help you and am happy to do so. I have dealt with my own anxieties and depression and found tools to cope. I would love to help you do the same by using a strength-based perspective along with other methods. I enjoy working with all ages dealing with various clinical concerns including anxiety, depression, and grief. My clinical experience involves placement in a mental health facility as well as a medical facility, therefore, I have an understanding of both models. My goal as a therapist is for you to ultimately not need therapy one day, but until that day comes, I will be right here to support you. Being in therapy can be a life-changing process and a wonderful thing to do for yourself. There is a reason you are thinking about therapy so give it a chance and see what hidden strengths you have. I am here to help you work towards your goals so you can live your very best life. 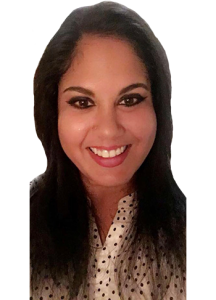 When scheduling an appointment, please ask for Sonal Shah.